Below you fill find all funeral homes and cemeteries in or near Plano. Popular neighborhoods in Plano include: Plano Fire-Rescue and Platinum Corridor, Dallas. Plano is also known as: P-Town, Denton County / Plano city, City of Plano, and An All-American City. Zip codes in the city: 75023, 75024, 75025, 75026, 75074, 75075, 75086, 75093, 75094. The Ted Dickey Funeral Home has a long history of service to the families of Plano and North Dallas. Some of the notable people born here have been: Lance Armstrong (athlete and professional road racing cyclist), Kristin Adams (singer and presenter), Kevin Murphy (american football player), Pat Thomas (american football player), John Benjamin Hickey (actor), Michael Viscardi (mathematician), and C.H. Greenblatt (screenwriter and television producer). Plano (/ˈpleɪnoʊ/ PLAY-noh) is a city in the state of Texas, located mostly within Collin County; a small portion extends into Denton County.The city's population was 269,776 at the 2010 census, making it the ninth most populous city in the state of Texas (Corpus Christi is ranked at #8 and Laredo is ranked at #10) and the 70th most populous city in the United States. Plano is twenty miles northeast of downtown Dallas. This city is home to many corporate headquarters: Alliance Data, Cinemark Theatres, Dell Services, Dr Pepper Snapple Group, Ericsson, Frito-Lay, HP Enterprise Services, Huawei, J. C. Penney, Pizza Hut, Rent-A-Center, Traxxas, Siemens PLM Software, and Toyota Motors USA.In 2005, 2006, and 2011, Plano was designated the best place to live in the Western United States by CNN Money magazine. In 2006, Plano was selected as the 11th best place to live in the United States by CNN Money magazine. It was also selected as the safest city in America in 2010 and 2011 by Forbes. Plano schools consistently score among the highest in the nation. Plano was rated the 10th Best Suburb for Education in the Nation in 2014 due to having one of the lowest student-teacher ratios (14 to 1), a high school graduation rate of 94 percent and some of the highest test scores in the nation. It has been rated as the wealthiest city in the United States by CNN Money, and the United States Census Bureau declared Plano the wealthiest city of 2008 by comparing the median household income for all U.S. cities whose populations were greater than 250,000. In 2008, Forbes.com selected Plano, University Park, and Highland Park as the three "Top Suburbs To Live Well" of Dallas. The annual Plano Balloon Festival and the Plano International Festival are two of the city's premier cultural and entertainment events. It was noted on January 22nd, 2019 that Mike Kuhlmeier perished in Plano, Texas. Kuhlmeier was 52 years old and was born in Park Ridge, IL. Send flowers to express your sorrow and honor Mike's life. It was revealed by The Herald Democrat on January 15th, 2019 that Linda Blankenship perished in Plano, Texas. Blankenship was 71 years old. Send flowers to share your condolences and honor Linda's life. It was disclosed by The Herald Democrat on January 12th, 2019 that J Galen Caddell passed on in Plano, Texas. Caddell was 88 years old. Send flowers to express your sorrow and honor J Galen's life. It was written by The Herald Democrat on January 11th, 2019 that David Blake Pierce passed away in Plano, Texas. Pierce was 57 years old. Send flowers to express your sympathy and honor David Blake's life. It was noted on November 30th, 2018 that Beverly J Clay (Buscher) passed away in Plano, Texas. Ms. Clay was 65 years old. Send flowers to share your condolences and honor Beverly J's life. It was noted on November 25th, 2018 that Frances Brenda Kinsella (Brady) died in Plano, Texas. Ms. Kinsella was 79 years old and was born in Covington, KY. Send flowers to express your sorrow and honor Frances Brenda's life. It was revealed on November 14th, 2018 that Elenor Eunice Hentzler (Herschell) passed away in Plano, Texas. Ms. Hentzler was 95 years old and was born in Watson, KS. Send flowers to share your condolences and honor Elenor Eunice's life. It was noted on September 26th, 2018 that Georgia Vernell Adelmann (Ball) perished in Plano, Texas. Ms. Adelmann was 95 years old and was born in Richlands, VA. Send flowers to express your sympathy and honor Georgia Vernell's life. It was reported on September 23rd, 2018 that Phyllis Heinz died in Plano, Texas. Heinz was 95 years old and was born in Manlius, IL. Send flowers to express your sympathy and honor Phyllis's life. It was reported on September 12th, 2018 that Jay Gerard Hegner perished in Plano, Texas. Hegner was 67 years old and was born in Sewickley, PA. Send flowers to express your sympathy and honor Jay Gerard's life. iMortuary's goal is to support you when planning a funeral. We provide you with current information regarding Plano cemeteries, funeral homes, cremation providers, as well as information about funeral flower arrangements. Look at our listing below to find the funeral providers that suit your needs. 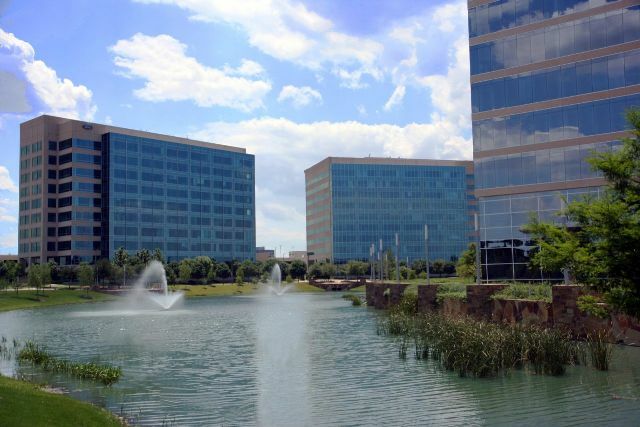 With a multitude of the country's largest companies choosing Plano as their headquarters, it is no wonder that Plano has been named the "wealthiest city" in the US, as well as one of the "best places to live", and "Top Suburbs." Its poverty rates are low, and test scores are high. The official website for the city of Plano is http://www.plano.gov. Surviving her are three children, Mary Ann Ward Davis and husband Clifford, of Woodfield, Thomas Roland Ward and wife June, of Woodfield, and James E.H. Ward and wife Pamela, of Plano, Texas ... P.A., Funeral Home, 26401 Ridge Road, Damascus. Listing all funeral homes in Plano, Texas so you can easily send flowers to any location (same day delivery) or find any funeral service. We work with local florists and flower shops to offer same day delivery. You will find budget sympathy flowers in Plano here. Our funeral flowers are cheap in price but not in value.